The Duke and Duchess of Sussex will only announce the birth of their baby once they have 'had an opportunity to celebrate privately as a new family', Kensington Palace revealed today. 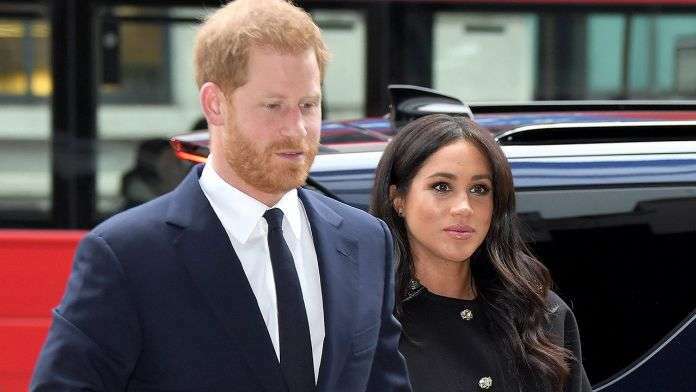 Meghan is expected to have a midwife-led home birth at Frogmore Cottage in Windsor, the new home she shares with Prince Harry on the Berkshire estate. She wants to follow in the footsteps of the Queen, who was born at the Mayfair home of her grandparents and gave birth to all four of her children at either Buckingham Palace or Clarence House. A Kensington Palace spokesman said: 'The Duke and Duchess of Sussex are very grateful for the goodwill they have received from people throughout the United Kingdom and around the world as they prepare to welcome their baby. 'Their Royal Highnesses have taken a personal decision to keep the plans around the arrival of their baby private. 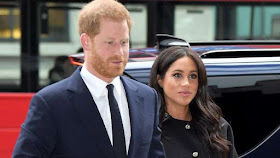 Sources stressed earlier this week that Harry and Meghan, who are expecting their first child within weeks, have not ruled out a hospital delivery because a woman having a baby over the age of 35 is at an increased risk of premature birth or the need for an epidural or caesarean. But a friend in America said the duchess – who still practices yoga daily and has 'sailed' through her pregnancy – is in extremely good health and sees no reason why she could not enjoy a safe delivery in the privacy of the cottage.